The exterior of your home can feel like an enigma. You want to have visual appeal, but you also want sufficient security and privacy. Weighing these options against each other can make it tough to decide on a final design. While you’re considering what matters most to you, consider this statistic: the police only resolve 13 percent of burglaries. On that note, let’s talk about the main security aspects of gate design. If you ask a hundred experts about how visibility impacts your risk of burglary, you’ll get a hundred answers. There are some consistent truths that you can trust. Displaying things worth stealing makes you a target. For that reason, privacy barriers to keep passing eyes from seeing the more valuable aspects of your home are worth considering. The other universal truth is that hiding places on the property make it easier for wrongdoers to approach. These two ideas push the need to strike a balance between privacy and open viewing spaces. Applied specifically to gates, your tradeoff is simple. A gate that obstructs view keeps you from seeing anyone lurking around the outside. On the other hand, you don’t want to reveal security components like locking mechanisms and potential vulnerabilities. You can have the best of both worlds with a little design help. Locks and vulnerabilities can be kept out of sight even if you opt for a highly transparent iron bar design. Speaking of iron bars, they bring up an interesting point about materials for a gate. There are two requirements for a secure gate. It must be strong, and it must be weatherproof. This leaves a ton of options that still enable you to choose something aesthetically fulfilling. When you’re considering tensile strength for your gate, you mostly have to consider its function. A gate protecting a garden path doesn’t need anywhere near the same durability as a driveway gate. 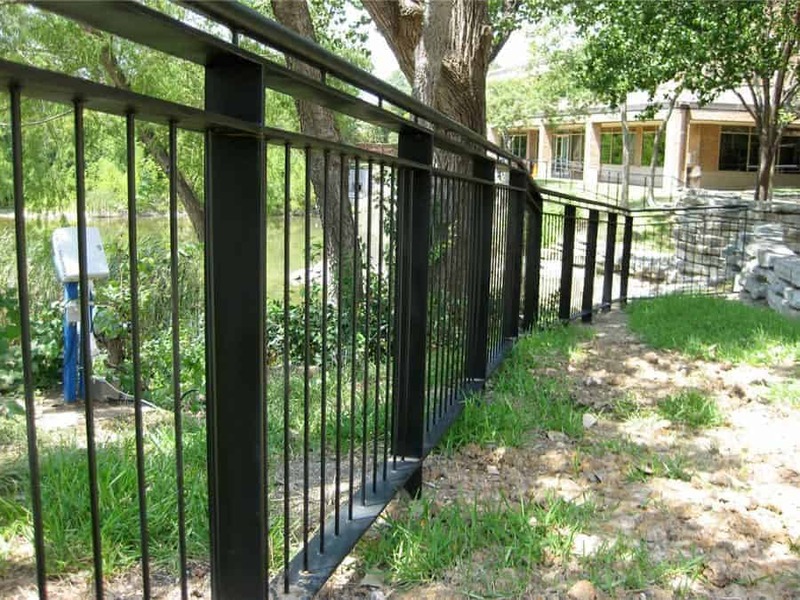 If your gate needs to be able to stop cars, galvanized steel is usually the best choice. For smaller functions, you can choose between a number of wood and steel options. Finally, we get to the ultimate challenge of gate design. Generally speaking, if it’s easier for you to get in and out, it will be easier for unscrupulous characters to do the same. The primary exception to this is automated locking systems, and when available, they are usually the most secure way to go. If you don’t use an electronic system, you have to unlock the gate every time you want entry manually. You can always forgo locks, but that obviously destroys the security component of your gate. Any lock that can be reached by you can be reached by burglars, and this is a vulnerability. Even if you commit to security, you have almost unlimited options. You can always talk to fence and gate experts to explore what may be available.